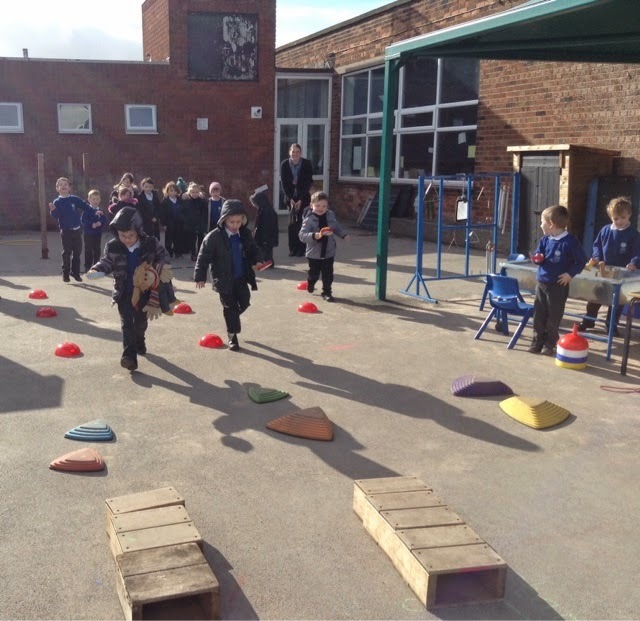 Wold Primary Academy Blog: F2 Pancake Race! This week we have been learning about Pancake Day. We made our own pancakes and chose two toppings to put on them. They were delicious! Today we looked at how people can celebrate Pancake Day and found out some people have pancake races. We decided to make an obstacle course for our pancake race. We had to carefully weave our way round the cones, step along the stepping stones, balance along the bricks, and finish the race by flipping the pancake! We all had great fun!